I’m a firm believer that anyone can earn an extra $100 per month. Anyone. And for most people, that will just be the starting point. But where do you start? As I mentioned in my post about the Most Common Multiple Income Streams, creating a side business is a great way to create a secondary income stream. And the easiest side business of all to create is an online sales business. There are just so many many different possibilities when it comes to selling things online (here’s a list of 50 ways to earn money online). Most people (including myself) start selling online to get rid of their old “junk”. I quote “junk” because what may be junk to you could be treasure to someone else. Just look at the old ugly light fixture to the right! Who would buy this ugly thing!?!? Well, I put this bad boy online, and within 24 hours had sold it for $75! Now $75 doesn’t really represent considerable income, but if you consistently have a mindset to resell your junk versus throwing it away, I guarantee that you will build a considerable side income, and you’ll put yourself on track to make at least $100 per month. Last year, before I kept detailed track, I easily pocketed over $3,000 by selling “junk” online. I would sell my junk, other junk, and even buy junk for cheap to resell! Who knows, maybe the person who bought my old lamp flipped it and made a profit for themselves! Here are some easy ways to get started selling online and start earning more money! This is one of the most tried and true way to sell your stuff online. You can sell stuff in either an auction format or “Buy it Now!”. eBay is great because there are millions of users. It is best for selling collectibles and other niche market items, since the scope of the marketplace is so large. eBay is also because it is so structured. You can view feedback and generate your own feedback. You essentially can see the “trust” in the marketplace. A drawback to eBay is the fees. You have to pay a listing fee, then a final value fee, there are a lot of fees to add items to the auction such as reserves and extra pictures, and finally you usually have to pay a PayPal fee. On average, you would give 20-30% of the selling price to eBay in fees. If you were selling a collectible, the higher price fetched by using eBay usually outweighs the fees. However, with commodity items, this may not be the case. 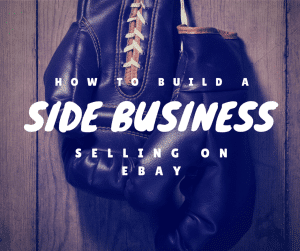 Get Started Selling On eBay here. When it comes to selling stuff online, Amazon isn’t usually the first that comes to mind. However, it is the market leader for selling books, music, and movies online, so why not take advantage of this if this is the market you are interested in! Have you ever noticed on Amazon the “New and Used From…” box. Well, those are all listing from private sellers for the item you are looking for. An Amazon also selling millions of other things besides books, which is great. 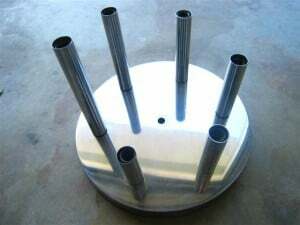 Amazon is best for commodity items and items you want to sell for a fixed price. You can easily see what sellers are charging, and then know if you can compete. Amazon also usually has the latest products in stock, which you can also resell. Amazon does charge fees as well, but they usually average 15-20%, so it is a little cheaper than eBay. Also, if you Sell on Amazon in California, You’d Better Collect Sales Tax. Craigslist rounds out the top 3 easy ways to sell online. Craigslist is essentially a giant online classified ad. As a result, it is best suited for your local area, since that is how most people browse Craigslist. Also, Craigslist is best suited for selling large items, such as furniture and decor, that cannot be easily shipped across country for cheap. For example, I sold the lamp I mentioned above on Craiglist. The great thing about Craigslist is that its free! No fees at all, so list away! You can also post pictures of the item you are selling, which buyers appreciate. The biggest drawback of Craigslist is that you have to meet the buyer in person. Since you don’t know the individual and have only communicated online, this can be a dangerous proposition. Make sure that all arrangements are made with safety in mind, such as meeting at a public place like a mall. I started when I was about 18 years old, and I was moving for the first time. I had a ton of “junk” that I was unsure what to do with. I had an old Super Nintendo System with a bunch of games, so CDs and DVDs, and a bunch of other stuff. I decided that I would give eBay a try. My first listings were pretty crappy, but they got the job done. It felt incredible to make a little extra money on the side for stuff I would have most likely donated instead of moved. However, after I had sold all of my junk, there wasn’t much left to sell to continue this income stream, so it went on the back burner for a while. After giving up on eBay for a while, I had stumbled upon a new source of goods to sell: garage and estate sales. It was the ultimate arbitrage ploy: I would buy stuff for really cheap at garage and estate sales, and I would resell them online to true collectors of the product. A company was born. I really kicked up my eBay selling into high gear. Every Thursday-Sunday, I would hit up as many estate and garage sales as possible to find goods to sell. And there were plenty. I could get old rare hardcover books for $1, and resell them online for $20 a piece. I was making money! Times were good. I continue this for a while and really focused on the customer service experience. On eBay, this means maintaining a 100% seller rating, and making all of your terms and conditions easy to see. I really focused on making a good policy that was easy to read and understand. I also saved it as a template to make my listings easier. I included links to detailed payment and shipping policies, which were on my About Me page. This really gave my business credibility. What I was really going for was credibility as a business, even though it was just me in my pajamas running it out of my house. My customers didn’t need to know this, but they needed the trust. Like I said, business was booming, but supply was running out. With the advent of smart phones, people could easily do research on products while at garage and estate sales, and random individuals started doing the same thing. I needed a ploy to get ahead of the competition. To take my business’s legitimacy to the next level, I created a website for it. This was my first website ever (it’s gone now, but if you want to image it, think of the ugliest site you can, and you’d be close). Although the website is not the prettiest and most amazing site you have ever seen, it got the job done. Even though I knew nothing about website development or SEO, my site started getting visitors. People were searching for estate sales in my market, and they would find my site and contact me. I would get access to these individual’s items before they were even for sale. You may wonder how this would be more profitable than buying cheap and selling high. Now, I essentially got first dibs on the items, and I could make offers to these individuals for entire estates, instead of piece by piece. This was big-time though. Instead of $1 per book, I was now going to be spending $1000s per collection or house. My first deal was for a collection of pottery a woman had contacted me about. Upon arriving, I inspected the collection and offered her an amount. We ended up settling on $1,200 for about 30 pieces of Roseville pottery. I ended up selling the entire collection for almost $3,000. I knew the strategy would work going forward. If you’re ready to start your website, check out our guide to Starting A Personal Website Or Blog. The hardest part of this business model is that it does require time. As my life has changed, I have had less and less time to run this business. As a result, I am down to selling a few items a year. Last year, I netted about $5,000 from selling online, and I doubt I will get close to that this year. However, all of my tools are still there should I find the time to start again. I have an eBay profile with 700+ positive feedback that is also a ‘PowerSeller’ and ‘Top-Rated Seller’, so the trust of the community will remain. Do you sell your old stuff online? Are you leveraging these sites to make extra money? I’ve been selling items on eBay on and off since I was in college. I’ve been making over $100 per month off eBay the last 7 months. That extra money comes in handy. I’ve been making several hundred dollars a month and I’m shooting to match my job salary! It’s a fun gig and I’m going to see if I can go full time with it eventually.